The first ever eco-friendly wastewater treatment plant in the country was inaugurated yesterday. The new treatment plant at Hejo in Thimphu will benefit 86 households and more than 700 people in the locality. The plant was constructed with a new technology called Dojo-Joka, a small scale sewage system with energy saving technology of Japanese origin. The wastewater treatment plant has three sedimentation tanks and three aeration tanks that are connected in a series. All tanks are underground and covered by soil. “Once the wastewater from the households reaches the treatment system, it will undergo a series of processes before being released into the river. The treatment system is also environmentally friendly,” Ugyen Wangchuk, the Engineer with the Water and Sanitation Division of MOWHS, said. The plant was constructed with locally available materials and using simple technologies. It will not lead to any secondary pollution, like a foul odour, and can be operated fully unattended. “People will no longer have to use septic tanks, once the wastewater is connected with the treatment plant,” Ugyen Wangchuk said. 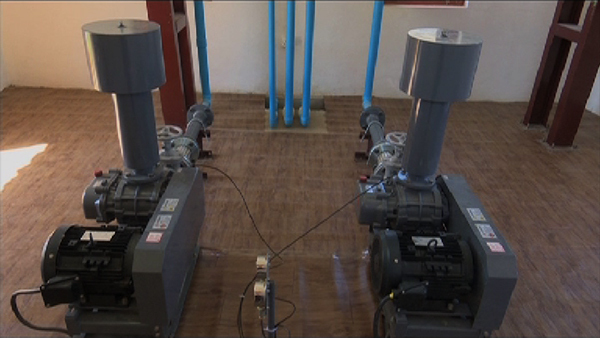 The treatment plant was constructed at a cost of 100 M Japanese Yen with funds from JICA. The construction, which was started in May 2017, was completed in January this year. Mokan Joka System Co.Ltd based in Japan with M/s Vajra Builders as the local construction counterpart constructed the Plant. The plant was a pilot project of Department of Engineering Services and Thimphu Thromde in collaboration with Mokan Joka Private limited. The Works and Human Settlement Ministry is hopeful that with the experience gained in having implemented and constructed the Dojo Joka System, the ministry will be able to promote and construct similar sewerage treatment systems around the country.